CPO car sales slow in January, but 2019 likely another record year - Cox Automotive Inc. There was a bit of a slow start for the certified pre-owned car market at the outset of 2019, but that comes off what was the eighth straight record year of sales. According to Cox Automotive, there were 2.70 million CPO sales in 2018, a 2.1-percent year-over-year gain. This marked another all-time high, and 2019 could see much of the same, with the market expected to reach 2.75 million sales. Cox Automotive attributes the CPO health to plentiful used-car demand and off-lease supply. 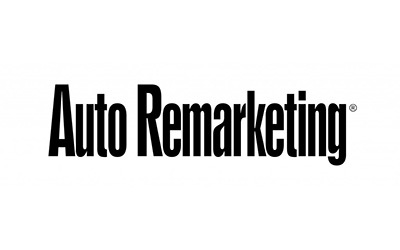 Auto Remarketing, Feb. 7, 2019 — There was a bit of a slow start for the certified pre-owned car market at the outset of 2019, but that comes off what was the eighth straight record year of sales. According to Cox Automotive, there were 2.70 million CPO sales in 2018, a 2.1-percent year-over-year gain. This marked another all-time high, and 2019 could see much of the same, with the market expected to reach 2.75 million sales, the company said in an analysis released last week. This year started with 199,640 certified sales in the first month, which was 1.6-percent softer than January 2018 and 11 percent softer than December, according to Cox Automotive chief economist Jonathan Smoke. This was in line with the overall used-car market in January, Smoke said. But again, the market remains strong. Cox Automotive attributes the CPO health to plentiful used-car demand and off-lease supply.